At least 270,000 people—about a third of the population—have been displaced by the Assad regime offensive on Daraa governorate in southern Syria since June 19. UN Refugee Agency (UNHCR) spokesman Mohammad Hawari confirmed the figure July 2, saying it "exceeded our expectations of 200,000." The agency expects the number to rise, with civilians fleeing to the borders with Jordan and the Israeli-occupied Golan Heights—but with both countries refusing to allow entry. The UNHCR said about 164,000 displaced are now in camps and villages in the neighboring small opposition-held governorate of Quneitra, close to the Golan border. (See map.) The Assad offensive to regain Daraa governorate, where the Syrian uprising began in March 2011, has been backed by Russian air-strikes, violating a "de-escalation zone" Moscow had declared with the US last July. UNHCR noted reports that "suggest indiscriminate attacks on health facilities, schools, civil defense centers, and offices of local NGOs." Trump betrays Syrian rebels —surprise! The US Supreme Court on June 26 ruled 5-to-4 (PDF) in Trump v. Hawaii that President Donald Trump's proclamation restricting entry from particular Muslim-majority countries was "squarely within the scope of presidential authority" under the Immigration and Nationality Act. The court also found that plaintiffs challenging the proclamation were unlikely to succeed on their claim that the ban violates the Establishment Clause of the First Amendment. Chief Justice John Roberts wrote for the majority: "[T]he Government has set forth a sufficient national security justification to survive rational basis review. We express no view on the soundness of the policy. We simply hold today that plaintiffs have not demonstrated a likelihood of success on the merits of their constitutional claim." The ruling overturns a preliminary injunction issued by the Ninth Circuit Court of Appeals in December, which blocked the policy from taking effect. The Supreme Court remanded the case back to the lower courts for "further proceedings." Syria Solidarity NYC will be protesting Seymour Hersh's appearance at the New York Public Library to promote his newly released memoir on June 20. It is a painful irony that Seymour Hersh, who broke the My Lai massacre story in 1968, has now become an open supporter of the genocidal Assad regime, portraying it as a guarantor of "stability" and repeatedly covering up for its massacres. Please stand with us, and for the Syrian victims who cannot be present. In Episode 11 of the CounterVortex podcast, Bill Weinberg compares the legacies of revolutionary struggle in Nicaragua and Syria. The Somoza and Assad regimes were both hereditary family dictatorships. The Sandinistas and Syrian revolutionaries alike have roots in anarchism. Yet Sandinista leader Daniel Ortega, again Nicaragua's president, is today himself facing a militant opposition movement, and has betrayed the Syrian revolutionaries in the interests of playing for Russian support in the Great Power game. His regime has employed state terror against peasant communities and campesino opponents of his inter-oceanic canal mega-scheme. In Syria, meanwhile, the secular, pro-democratic civil resistance continues to exist in spite of everything, and still governs areas of the country under a model of council-based popular democracy. This civil resistance has even liberated territory from jihadist factions through nonviolent mass uprisings, just as they had previously liberated their towns from the Assad dictatorship. 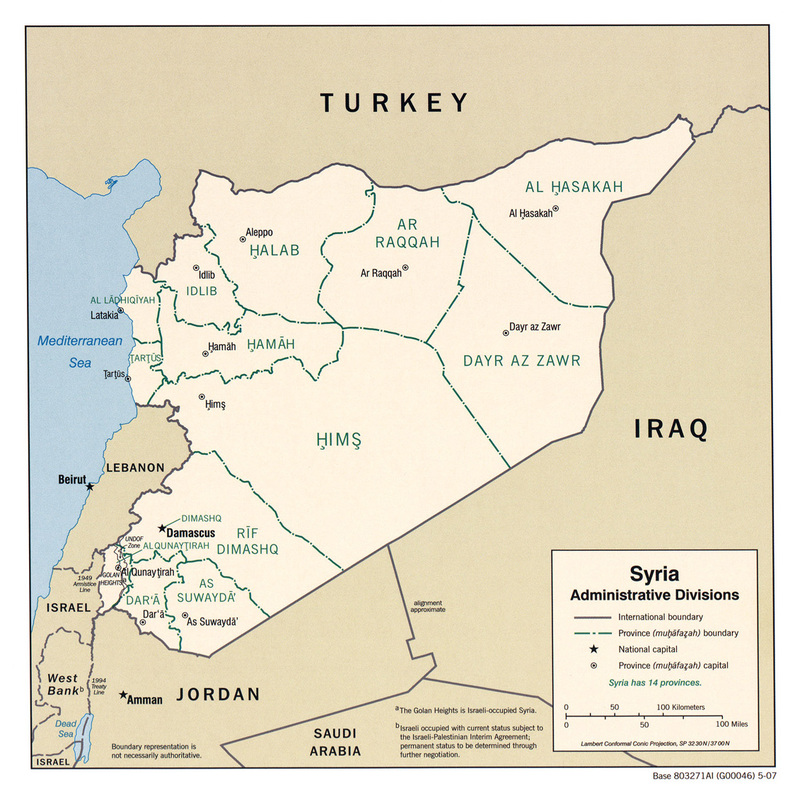 The Kurdish autonomous zone in Syria is also informed by an anarchist ethic of direct democracy. Yet the Kurds and Arab-led civil resistance have been pitted against each other by Great Power intrigues. How can activists in New York and the United States move past global divide-and-rule stratagems and build solidarity with Syria's Arab and Kurdish opposition alike, as well as the campesinos and grassroots-democratic forces in Nicaragua? Listen on SoundCloud, and support our podcast via Patreon. A new Amnesty International report accuses the US of "war crimes" in the bombardment of Raqqa, and the virtual "annihilation" of the city. The fact that the US-led bombardment was in support of the Kurdish-led Syrian Democratic Forces (SDF) in their campaign to take the city from ISIS has contributed to pitting Kurd against Arab and brought northern Syria closer to ethnic war. Ironically (if predictably), now that the Syrian Kurds have served their purpose in defeating ISIS, Washington is about to kick them overboard—just as Assad and Erdogan alike are preparing offensives against them. CounterVortex editor and chief blogger Bill Weinberg will host a panel at the Anarchist Bookfair in New York City June 9 on "Solidarity with the Syrian Revolution." Also speaking will be writer Amina A. of Syria Solidarity NYC and Shiyam Galyon from Books Not Bombs. Eclipsed from the headlines by ruthless armed actors, the secular, progressive civil opposition that started the Syrian Revolution in 2011 continues to exist. In some areas of Syria, it is the real power on the ground, in self-governing municipalities run on an anarchist-influenced model of council-based popular democracy. In opposing imperialist designs on Syria (US and Russian alike), our first responsibility is to build vigorous solidarity with this civil opposition.